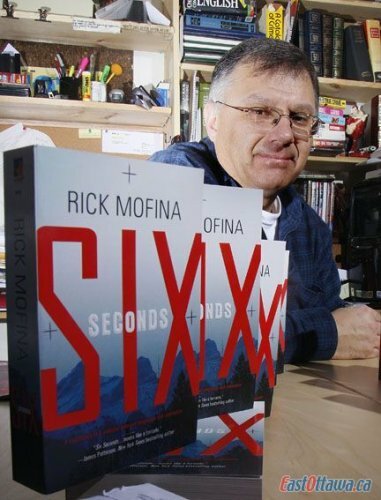 Rick Mofina is an Ottawa-based award-winning ex-journalist who now works as a communications advisor. His work has appeared all over the world in various well-known newspapers and magazines including The New York Times, Marie-Claire, Reader’s Digest and The Moscow Times to name a few. He has written over ten novels and is a member of the Mystery Writers of America, the Private Eye Writers ofAmerica, the International Thriller Writers, the International Crime Writers Association and Crime Writers of Canada. Ayo: You are a lot better known in North America than you are here in the UK. Would you like to tell us a bit more about yourself? Rick: I grew up in a working-class family east of Toronto, in Belleville, Ontario, Canada. I started writing fiction in grade school and never stopped. I was fifteen when I sold my first short story. I was eighteen when I hitchhiked to California and wrote a (dreadful, still unpublished) novel about the experience. In university I studied Journalism and English Literature, including a course in American Detective Fiction. I was a cub reporter at The Toronto Star, the same paper where Hemingway worked, before I embarked on a career in journalism that spanned three decades and several newsrooms. My reporting has put me face-to-face with murderers on death row in Montana and Texas. I covered a horrific serial-killing case in California, an armoured car heist in Las Vegas and the murders of police officers inAlberta. I have flown over Los Angeles with the LAPD, and gone on patrol with the Royal Canadian Mounted Police near the Arctic. I have also reported from the Caribbean, Africa and the Middle East. It was during my time as crime reporter with the Calgary Herald that I sold my first book, If Angels Fall. I am now working on my eleventh. Ayo: You have written five books in your first series featuring Tom Reed and Walt Sydowski based in San Francisco, California. The first in the series was If Angels Fall and the last one that you have written so far to date is Be Mine. They are two totally different characters: one is a hard-hitting journalist whilst the other is a homicide detective. Where did you get the characteristics for the two of them? Rick: Tom Reed is a compilation. I think he embodies the sins and virtues (yes there are virtues) of every hard-driving new reporter I’ve ever known. Every aspect about him is drawn from someone’s reality somewhere. Then I push him as far as I can. He works well with Walt Sydowski. He represents every grizzled detective I’ve ever met, including one or two with the SFPD Homicide Detail and some Royal Canadian Mounted Police investigators. And he stands as a foil and father-figure to Reed. I’ve used some of my father’s actual biography in shaping Sydowski, in that my dad is Polish. He was a child when the Nazis invaded Poland. So I’ve given that background to Sydowski. Other elements I gleaned from other detectives, including one whose dad was a barber and another who breeds canaries. Ayo: You only wrote three books in your second series which is set in Seattle, Washington, and features Jason Wade, a rookie crime reporter. Was he, by any chance, based on you? Rick: I did draw upon my time as a rookie reporter at The Toronto Star. At the Star, I learned the news business by reporting craft working in the suburban bureaus and the metro news desk at One Yonge Street. I covered a range of stories, including a murder trial, and a takedown by the SWAT team looking for an escaped killer. I also did time in the "torture chamber", the cell-like room housing banks of chattering police scanners where you kept your ears pricked for the first hint of a story that could stop the heart of the city. Or break it. After I left The Toronto Star, I embarked on a news career that would span three decades and several newsrooms. Over the course of that time, I would write about death in all of its terrible manifestations. Reporting on death never got easier. If anything, I grew more philosophical, searching for deeper meaning in its aftermath. In the courage of families, in the determination of detectives and in the lives of reporters who struggled to make sense of the chaos unleashed on them all. But it was in writing The Dying Hour, with rookie Jason Wade, pursuing the first big story of his news career, which I looked back on mine. Through Jason, it was easy to re-live the thrill of landing a scoop and the adrenalin-fuelled days of my summer at The Toronto Star. Ayo: Will you go back to either series? Rick: In September 2009, the Jason Wade series will be launched in the UK with the release of The Dying Hour (selected finalist by the International Thriller Writers, for a Thriller Award) by MIRA who will give it a big push. Approximately six months later, the second book Every Fear will be released in the UKand six months after that, the third, A Perfect Grave. If the response is strong, we could see Jason return. This could possibly lead to the release of the award-winning Reed–Sydowski series. Ayo: In 2003 Blood of Others, which is the third book in the Reed and Sydowski series, won the Arthur Ellis Award as Best Novel. You have also won another award for your short story Lightning Riderin 2006. Has winning these awards had an effect on your writing? Rick: No. They are terrific validations but they don’t erase self doubt. Ayo: Your most recent book, Six Seconds, is your first standalone novel. What made you decide to write a standalone? Rick: I was ready for it. After producing a total of eight books for two series, I was ready to take a shot at a standalone with a story that had a global canvas. It seemed the perfect way to get things rolling with MIRA Books, my new publisher. Ayo: As it deals with current issues – i.e. terrorism, the possibility of an assassination attack and Al-Qaeda – what was the impetous for the plot of the novel? 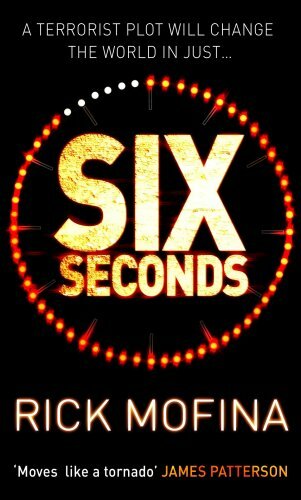 Rick: Six Seconds took shape by refining a number of unrelated scenes, dramas and events I had observed during my time as a reporter; such as the heart-wrenching anguish of interviewing a mother whose child had vanished. Then there was the time I was on assignment in Nigeria, not long after the September 11 attacks. I was in Abuja where I saw a boy in a slum wearing a T-shirt emblazoned with Osama bin Laden’s picture and message calling him #1 Hero. On that African trip I also visited Ethiopiawhere I watched old women, who lived in some of the harshest conditions on earth, weaving fabric on a loom in the slums of Addis Ababa. Prior to that, I was in the Gulf where I talked to British aid workers, and at Kuwait’s border with Iraq; I also visited the tank graveyard in Kuwait city. I talked to peacekeepers fromCanada concerned about the toll land mines were taking on children who plucked them from the dunes. And I’ll never forget the big-city homicide detective back home who confided that he was haunted by the case he couldn't clear. I also remembered years back, when Pope John Paul II visited my city where I was attending university. I went out to see him and met an international student who joked about assassination as the papal entourage passed by our group near the campus. It got me thinking. What if I took these elements and twisted them into fictional threads that were all connected? What if ordinary people from different parts of the world became ensnared by extraordinary events that could alter history as a clock ticked down on them? Suppose it all came down to six seconds? Ayo: What amount of research did you do for Six Seconds and how do normally do your research? Rick: Normally, whenever I can, I try to draw on my own experiences, but that is not always possible. However, for Six Seconds, as well as all the travels and experiences that I mentioned above, I also had the privilege of touring a police facility at home where bomb technicians showed me everyday objects that were actually bombs. It was chilling. I did a lot of online work on the psychology of suicide bombers, on nanotechnology and of course VIP security. And I was fortunate to have some help from people who’d actually been involved in security during a papal tour. I read a lot of stuff on plots and attacks against the pope. Much of the stuff I used in Six Seconds is drawn from reality, and much is made up. Ayo: Are you happy about the way in which Six Seconds turned out? Are you pleased about the amount of success that you have had with the novel? Rick: Yes, it is a bit overwhelming and MIRA, my publisher, has been fantastic with its support. Ayo: You have been doing quite a lot of interviews about Six Seconds. What’s it like being on the other side of the fence for once and being the interviewee? Rick: You have to be careful not to feel self-important and you have to choose your words carefully. Ayo: Are you going to continue to write standalone novels or are you going to go back to writing a series? Ayo: Plot or character? Which is more important for you and why? Rick: Both are equal in my view. Can’t have one with out the other to make a solid package. Above all, a good story is a good story, which includes believable sympathetic characters, regardless of the genre. What was it F. Scott Fitzgerald wrote: action equals character, or character equals action. I guess an argument could be made that with crime fiction, you’re writing about people at the most dramatic point in their lives, so how they respond shapes their character. If the drama is compelling then the two go hand in hand. Think of a character as a car, an interesting car that you get to know really well. You know one tyre is bald, or the sound system’s great, or the thing never lets you down in the dead of winter. But this car is like a friend. Then think of the plots or crime elements as the gas, well, all you have to do is put the two together and you’re in for a ride. Ayo: Do you plot as you go along or do you write an outline? For example, do you always know who is going to be killed and by whom or do you just go with the flow and see where it leads? Rick: I have always used a general outline, that’s just my process. But things change on the journey. It’s like this for me, an outline is a road map, you know you want to go from A to B and you have some notes on what you want to do in between. The actual writing is the trip and to pervert T.S. Eliot, between the idea and the reality, emerges the book. Ayo: Was it a long journey in between your work as a journalist and starting to write crime fiction? If so why the long journey? Rick: I was always writing since I was maybe seven years old. It is an affliction. My first novel was written when I was eighteen. Others followed. It wasn’t until some twenty years later that I became a published novelist. My path became clearer when I started in news in the 1980s at The Toronto Star before moving on. During that time, it took me several years to understand what I wanted, or needed, to write about. I had written and abandoned a few novels. Supernatural, straight literary types and other genres. Then one day, reluctantly, I was assigned to my newspaper’s police beat. Unless you’ve done this kind of work, nothing prepares you for it. You see what cops, paramedics, fire-fighters, emergency experts see. For me, as a reporter by day, novelist by night, a light had been switched on. Covering human tragedies and dramas up close was overwhelming. But on another level, having a university degree in English Literature and Journalism, and having studied religious responses to death and American Detective Fiction, I felt I was equipped to try to make sense of what I was experiencing. To try to convey through fiction the truths I’d learned. That’s how I came to write my first Reed–Sydowski book, If Angels Fall. Ayo: What has been your most rewarding experience as a journalist and what was your most scary? Rick: There was a little girl who had a terminal brain condition and her dream was to meet a certain music star. When her family’s situation was made known to my news organization, we wrote about it and her dream came true. The family invited me back stage for the meeting, there was not a dry eye there. The most scary, there were many, let’s see … One quiet night I was working alone in the newsroom on the cop beat when a call came in for me. It was a convicted murderer who was calling from prison. From the psych ward. I didn’t know him, but I had written about him. That night he confessed to me how he tricked his way to get access to a telephone because he needed to talk to somebody outside the institution. So, I said, talk. He then went into every detail, every vile, disgusting detail, of how he abducted two young women then held them hostage in a suburban home. Then he told me exactly how he murdered one but decided to let the other live. He was not remorseful, or even emotional. He just wanted me to have a clear accounting. Then he hung up. My spine rattled for hours after. I had trouble sleeping that night. That’s only one strange experience from the beat. Ayo: Do you miss being a journalist? Rick: I sometimes miss aspects of it. The adrenalin rush of being parachuted into chaos with the goal of making sense of whatever drama is unfolding – of finding the story within the whirlwind. Then having to tell that story in plain, sparse language to a large, immediate audience while facing a deadline. I miss working with other reporters, photographers and editors, of sharing war stories. I don’t miss having to talk to people victimized by tragedy. No matter how many times I had done it, it never ever got easier. Ayo: What was the biggest challenge you faced when you first moved from the world of journalism to writing fiction? And did you always intend to write crime as opposed to literary fiction? Rick: I was writing fiction long before I became a journalist, so the shift was not really a challenge. I saw journalism as a passport to experiences that would strengthen my lifelong pursuit of writing the best fiction I could. When I found myself on the crime desk of the Calgary Herald, I thought, this is it, this is the palate from which I can draw. Ayo: Are you passionate about the genre and what do you think of the current trends today? Rick: I think crime fiction is in its golden period. I don’t reflect much on trends. A good story is a good story. Ayo: Some do not consider the genre to be "literary" enough and at times it does not get the accolade it deserves. Do you believe that this is the case and if so have you any views on how people’s views might be changed? Rick: Of course it is true and I don’t give it much thought. It’s wasted energy to debate it. As mentioned, a good story is a good story. The job of any author is to keep the reader engaged. If the reader is struggling to find the point of the book, or the story between the covers, then the author has failed. And authors have succeeded and failed in all genres. And just take a look at best seller lists around the world, crime fiction stands well. Ayo: Like you I am a civil servant and my world of crime fiction tends to take place in the evening and at weekends. How do you manage to cope with the two lives and is there anything you would like to change? Rick: I don’t know, I just do my best, I don’t think there is much I’d change. Ayo: It seems that it is quite the norm to have a book trailer on YouTube nowadays. What made you decide to have one and are you content with the result? Rick: The trailer for Six Seconds is my first. My UK publisher did it and surprised me. I think it is absolutely perfect, just perfect. Ayo: Canadian authors such as yourself, Louise Penny (whose first mystery, Still Life, was the winner of the New Blood Dagger, Arthur Ellis, Barry, Anthony, and Dilys awards), and Alan Bradley (whose novel The Sweetness at the Bottom of the Pie won the CWA Debut Dagger) are becoming a lot more well known over on this side of the pond. Why do you think that this is the case and could there be an invasion of Canucks on the horizon? Rick: Maybe it has something to do with us being somewhat insular from the winter and spending much of our time in deep thought during the deep freeze. A Canadian has yet to win a Nobel Prize for Literature. I’m hoping Alice Munro will be our first, although I’d say Margaret Atwood is the odds-on favourite. Ayo: What is more important – the first or the last chapter? Rick: Both. If the first is not strong, the reader won’t get to the last. And if the last is not strong the reader won’t bother with your next book. Ayo: Which part of the fiction-writing process do you find most gratifying? Rick: Well there’ve been a lot of nice comments, like “you kept me up all night”, and “you need to write more books faster”. But one that stands out came from a lovely handwritten letter from a woman inIndiana. Seems she was on vacation in the west and bought my first book, If Angels Fall, in a used book bin for 25 cents. After reading it, she liked it so much, she cut me a personal check for the full cover price, $7.00, which she’d attached to her letter. She told me I’d earned it. I was blown away. I thanked her. And yes, I cashed the check, but I’ve kept a photocopy that I intend to frame some day. Ayo: If you could have dinner with any of your characters who would it be and why? Rick: San Francisco Homicide Inspector Walt Sydowski from my first series. He is a compilation of a number of real detectives I’ve known and my father. Sydowski, is a Polish-American, child of World War Two. He’s a cops’ cop, a man who could tell you stories. A detective who can scare the truth out of a lying degenerate criminal, then go home to his empty home, reflect sadly on how he misses his long-deceased wife, while tending to the baby show birds he raises in the aviary. Ayo: I understand that you are due to start a third series with a book called Vengeance Road. Can you tell us a bit more about it and why have you decided to start a new series? Rick: After launching me with Six Seconds, MIRA thought starting a new reporter series would be a good strategy, and I agreed. I love the reporter sub-genre. As for Vengeance Road, it launches in the USand Canada September 1, 2009. The story concerns the murder of a broken-hearted woman and the chilling disappearance of her friend. The incidents slowly raise questions about their ties to a respected detective after the body of Bernice Hogan, a troubled young ex-nursing student with a tragic past, is found in a shallow grave near a forest creek. Jolene Peller, a single mom struggling to build a new life with her little boy, vanishes the night she tried to find Bernice. Hero cop, Karl Styebeck is beloved by his community but privately police are uneasy with the answers he gives to protect the life – and the lie – he’s lived. The case haunts Jack Gannon, a gritty, blue-collar reporter whose sister ran away from their family years ago. Gannon risks more than his job to pursue the story behind Styebeck’s dark secret, his link to the women. Ayo: Do you have any foibles when it comes to writing? Rick: Author answer: None. Author’s wife’s: "you’re loaded with eccentricities." Ayo: Is there a book out there you would have loved to have written? Rick: The Postman Always Rings Twice. Ayo: What does your family think of your writing? Ayo: What do you like to do when you are not writing? Rick: I’m kinda boring and quiet. I try to remind my family that I do exist. I like to go for walks or drives in the country with my wife, or go to the movies or book stores with my family. Ayo: What words of advice would you give any up and coming writer? Rick: For starters, don't make excuses, make sentences. If you have a television in your home then you have time to write. If you get published, be prepared to work harder than you’ve ever imagined to not only stay published but keep delivering better work. The reader who invests their money and time in your product deserves the absolute best you can deliver – the absolute best. As Stephen King said about the craft, do not come to this lightly. Ayo: Crime writers are known to be very gregarious and part and parcel of being a writer is attending conventions like Bouchercon, Left Coast Crime, Bloody Words, etc, and meeting fans. For some it is very overwhelming. Do you enjoy this and has there been any particular event that you have enjoyed the most so far? Rick: I do enjoy it for all it offers. The crime fiction family is large and generous, the conferences are great for talking with readers and discussing all aspects of writing with other authors. And, of course, to star gaze. In Chicago, I took a picture of Dennis Lehane with a fan, in New York, I managed to get a few minutes with Lee Child and James Patterson. Ian Rankin’s very kind and so is Michael Connelly, Val McDermid and Peter Robinson. David Hewson and Linwood Barclay, being ex-journalists, are fun to hang around with as well. Ayo: If you were on a desert island and could only take five books with you which would they be and why? Rick: The Red Badge of Courage, Lord of the Flies, Crime and Punishment, The Silence of the Lambs, and As I Lay Dying. Rick: The second book in the new Jack Gannon series. It’s called The Panic Zone and is due out summer 2010 in the US and Canada. Ayo: Ice hockey or baseball and why? Rick: Hockey. Are you kidding me? Hockey is the fastest sport around. I advocate the complete and absolute banning of fighting. It is the most asinine aspect of the game. It must go. I enjoy baseball when there’s action. And you get some, every now and then between naps. Read Ayo's review of Six Seconds here.